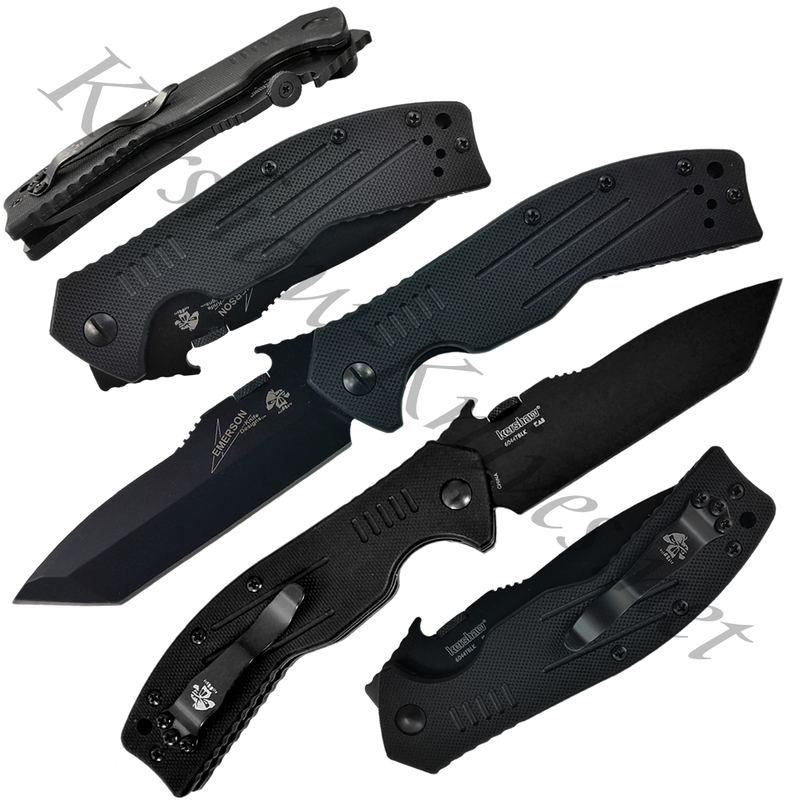 Designed by Emerson, built by Kershaw... we give you the Kershaw Emerson Designed CQC-8K Knife 6044TBLK. This manual folder has been blacked out with a non-reflective tanto blade that is razor sharp! The Emerson logo can be found on the front of the blade and pocket clip. Blade opens by use of thumbdisk or the patented Emerson wave shaped feature that enables the user to open the blade by just pulling the knife out of their pocket! This works by hooking the wave-shaped tab on the seam of your pocket, thus deploying the blade automatically as you pull up.